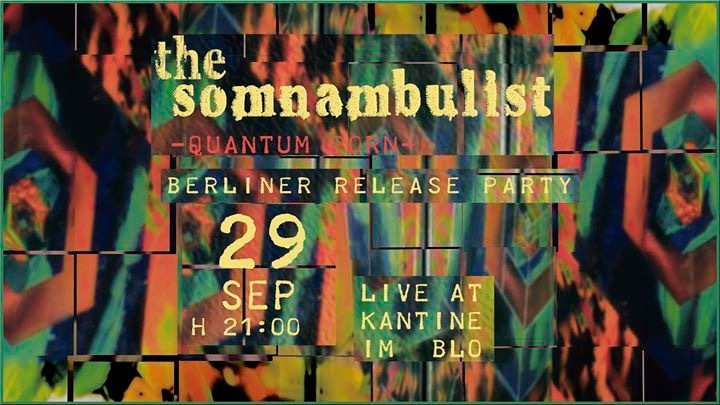 THE SOMNAMBULIST seem to have translated all that particle mess around and inside us into a luscious field recording from out of space. At one moment, the songs expand into vast spheres of sound, just to shrink up to a single, nearly invisible dot at the next. For this sensual, extradimensional journey across time and space, Marco Bianciardi (vocals, guitars and sampler, as well as producer of the album) is accompanied by Thomas Kolarczyk on electric and double bass and Valentin Schuster on drums.